This silhouette of The Rev’d J.E. Burton, first priest of the Parish of Rawdon, was kindly given to the parish by Hamilton & Jane Slessor of Toronto. Mrs Slessor is a direct descendant, through his daughter, Frances Maria Burton Heward. Christ Church is the eighth oldest church in the Diocese of Montreal which has comprised 253 churches. 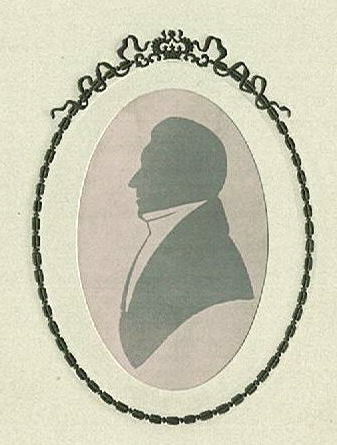 In 1821, as the result of an influx of English, Scottish, Irish and Royalist settlers taking up the King’s land grants, the then Lord Bishop of London, The Rt Hon and Rt Rev’d William Howley, sent the first Anglican priest, The Rev’d James E. Burton, to minister to the small farming community in the Township of Rawdon. Land was given to the Parish in 1840 by Royal Letters Patent. These same Royal Letters Patent created the Glebe Land (lands under the legal control of the Incumbent) on which land the Rectory now stands. The Parish predates the Diocese of Montreal. 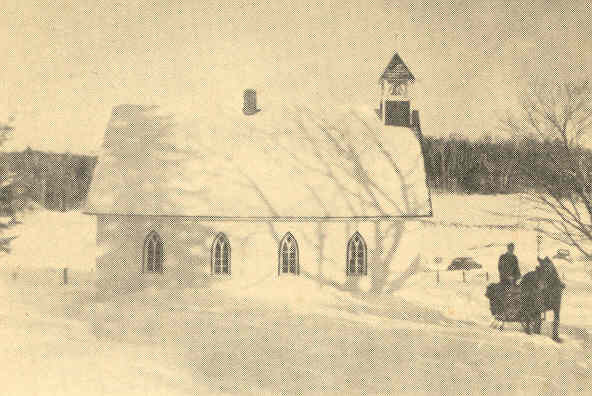 The first building, a log structure, housed the Church, School, and Parsonage. In about 1834 a wooden building with pine siding was constructed as a church. This soon proved to be inadequate for the congregation. The cornerstone of the present building of Gothic design with sculptured stonework, was laid in 1857 by The Rt Rev’d George Jehoshaphat Mountain, Third Lord Bishop of Quebec. This stone is at the right hand front corner of the main building, when viewed from Third Avenue. The building was dedicated by the First Lord Bishop of Montreal and first Archbishop of Canada, The Most Rev’d Francis Fulford. In 1870 the church was consecrated by The Rt Rev’d Ashton Oxenden, the Second Lord Bishop of Montreal, although services had been held since 1861. In 1915 a wood burning stove was installed below the building for heating and converted to oil burning in 1951. The porch was added in 1949 as a memorial to those who served in the Great War of 1914-1918 and the Second World War II of 1939-1945 and are named on the plaque on the south wall. The internal walls of the main building are finished in lath and plaster. The beautiful high wood beamed and panelled ceiling is painted and has a stencilled pattern at the edges. Note the dark lines around the ceiling panels, giving the impression of a shadow cast by light coming from high in the east. The stone font, a structure used for Baptisms, bears the inscription “IN TOKEN THAT THOU SHALT NOT FEAR”. On the north wall is a large wood plaque dedicated to the Archdeacon Robinson Memorial Fund for the upkeep of the church, upon which are mounted brass plates detailing contributors to this Fund and for General Expenses. The continuation of this board is located immediately opposite it on the south wall. The hand carved lectern, small screen, priest’s chair and prayer desk and rails are the work of the Rev’d Charles Rollit, priest-in-charge 1846-1865. On the wall on either side of the west door are plaques upon which are listed the incumbents of the parish and the Bishops of the Diocese. The Bishops listed in red with a single cross were also Archbishops of the Province of Canada. Those Bishops in Red with two crosses also served as the Primate of All Canada, the Archbishop of the whole country. In 1949 the seating arrangement was altered from three sets of pews to the present two sets. The two manual and well traveled pipe organ, (please refer to brass plates on the organ and nearby wall) incorporating some pipes from an old cathedral instrument, was installed in 1971 as a tribute in memory of the first Rector of Rawdon, The Venerable R.K. Naylor, later Archdeacon of Montreal, Rector from 1912-1925. Restoration of the church was carried out between 2001-2006, including: painting of the walls, repointing the outside of the church, the moving of the altar and altar rail, the removal of the pulpit and the addition of a new wood floored chancel. New hangings were bought by the memorial fund to replace the original hangings from 1857. The two banners, the Ascension Banner and the Pentecost Banner, completing the teaching cycle of the windows, were dedicated on their respective Feast Day in 2006 and 2007. The church’s Birmingham silver is original and dates from 1857. An elaborately carved brass Gospel Book was donated in 2005. The Bishop’s Throne was given to the Parish by the Parish of Mascouche in 2006. High above the entrance doors in the nave hang the Coat of Arms of the Archbishop of Canterbury. In 2010 the congregation replaced the existing roof with a cedar shingle roof to match the origional historical roof. 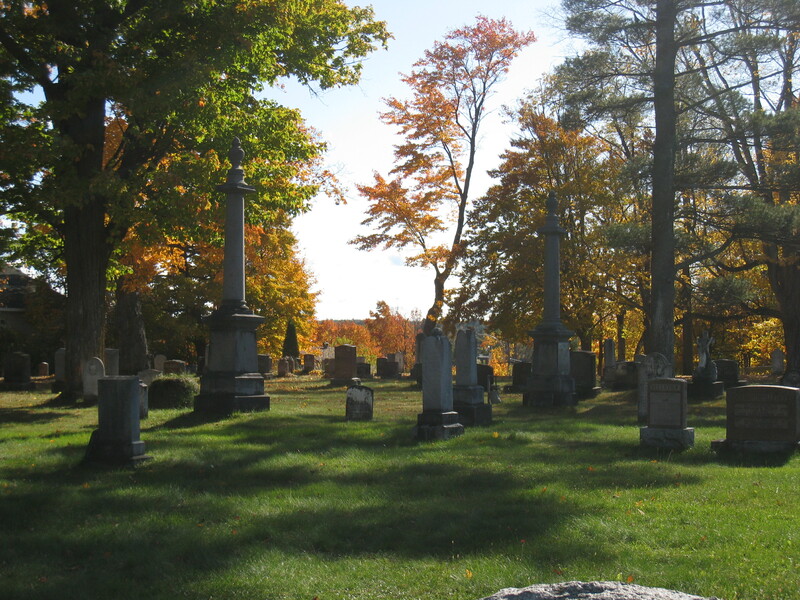 The Cemetery was consecrated in 1849 and extended in 1899. 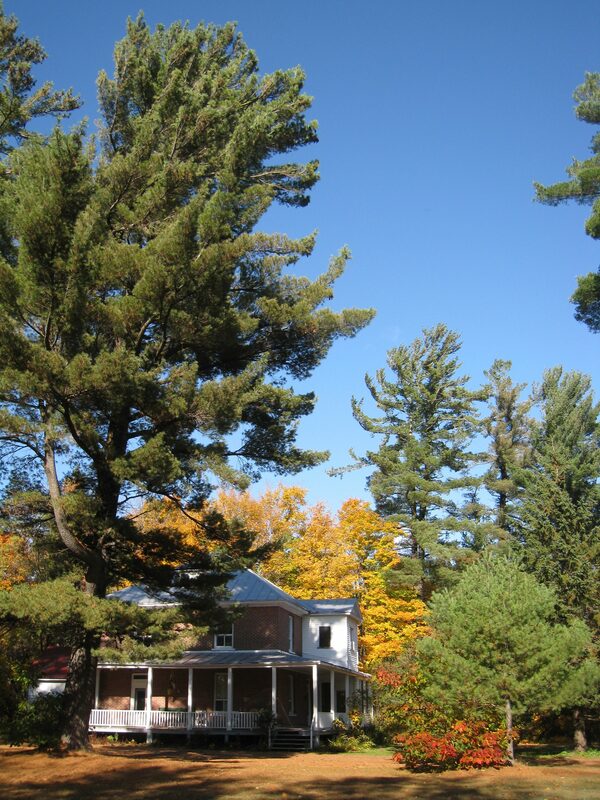 The church grounds are grassed and blessed with amongst others, old pines and maple trees. Some of the headstones date from the 1850’s. The parsonage was built in 1844. It was moved across the Glebe Land to make room for a new Rectory built by Archdeacon Naylor in 1914. The Parish became a Rectored Parish during Fr Naylor’s tenure. The Glebe Lands were erected by Royal Charter and make Rawdon one of only two parishes in the Diocese to have lands attached to the Rectory for the Rector’s use for creating income. This was a rather out of date medieval practice from the Church of England dating to before the time that priests received stipends. Founded in 1821 by the Reverend James Edmund Burton, the congregation of Kildare was under the pastoral care of the incumbent of the Parish of Rawdon until 1862. In 1862, the congregation of Kildare left the Parish of Rawdon to form the new parish of Kildare-De Ramsay with the central church of the parish being St. John’s. A lot of 3 acre was acquired, in 1841, for the purpose of erecting a church and a burial ground. St. John’s Church was built in 1842 and consecrated with its cemetery in 1849. A glebe totaling 100 acres with a house erected upon for a parsonage was acquired in 1858. A portion of the glebe (3/5) was sold in 1864 to create an endowment and the remaining portion (minus 2.25 square acres for the parsonage) was sold in 1901. Due to the poor physical state of the parsonage and the population decline, it was decided to sell the parsonage and to move the central operations of the parish to De Ramsey in 1910. During those years, the Parish of Kildare and De Ramsay included the congregations of St. Gabriel de Brandon, Lake Cloutier, Joliette (also known as Industrie), De Ramsay and Kildare. In 1920, the Parish of Kildare-De Ramsey was dismantled and the congregation of Kildare returned to the Parish of Rawdon. The church was closed in 1955 and deconsecrated in 1957. 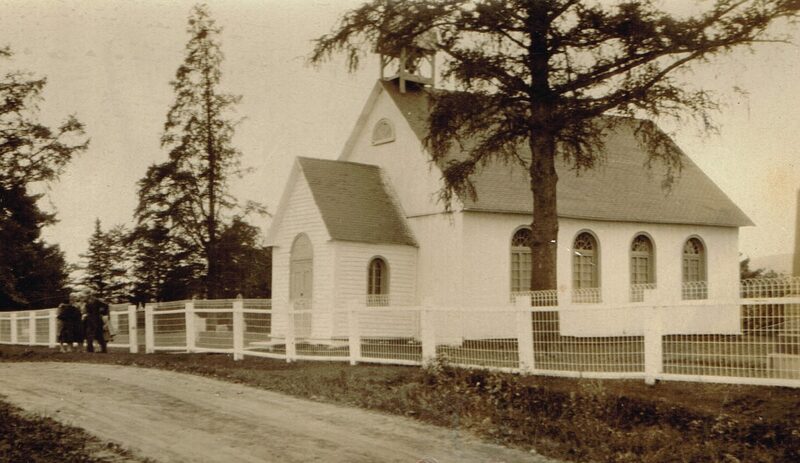 In 1958, the log church was taken apart and rebuilt in Masonville (now part of Rawdon). It was rededicated in 1960 and continues as a privately owned consecrated Anglican Chapel under the jurisdiction of the Lord Bishop of Montreal and part of the Parish of Rawdon. Founded in 1825 by the Reverend James Edmund Burton. The congregation of De Ramsey was under the pastoral care of the Parish of Rawdon. 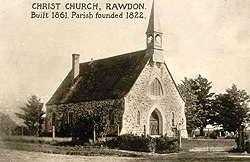 In 1862, the congregation of De Ramsay left the Parish of Rawdon to form a new parish named Kildare-De Ramsey. Services were held in private homes, school house and in the Meeting Hall until 1892. Land was donated in 1892 and a church was erected the same year. It was consecrated in 1932. In 1910, the parish decided to sell the parsonage in Kildare and to move the central operations of the parish to De Ramsey. A new parsonage was built on an acre of land donated to the parish. The Parish of De Ramsay included the congregations of De Ramsay, St. Gabriel de Brandon. Lake Cloutier, Joliette (also known as Industrie) and Kildare. In 1920, the Parish of De Ramsay was dismantled due to the decline of the population in the parish. The congregation of De Ramsay returned to the Parish of Rawdon. The parsonage was converted into a school in 1920 and. then, sold in 1932. The profits made with the sale were invested in the erection, in 1938, of a Hall adjacent to the church. All Saints’ Church was rededicated in 1977 following a major restoration. A new steeple was added in 2003. Anglican activities started in 1821 with the missionary work of Reverend James Edmund Burton in the area of Wexford. The first church was built in 1869 and consecrated in 1870. It was located in St. Emilie des Monts, now Entrelacs. The second church was built further down the 125 and was called the Church of the Advent. Using the wood of this church, in 1921 the congregation erected St. George’s church in Wexford. It was destroyed by arson in 1992. The congregation of Wexford merged with the congregation of Rawdon. The Rector of the Parish of Rawdon had a large territory to minister. He looked after the congregations of Kildare, De Ramsey (known as St Felix de Valois), Wexford (originally Entrelacs), St Gabriel de Brandon, Industrie (known as Joliette) and Chertsey at one point or another during the second half of the 19th century.